There is limited street parking. Nearest public car park NCP. Nearest tube stops are Baker Street and Bond Street. 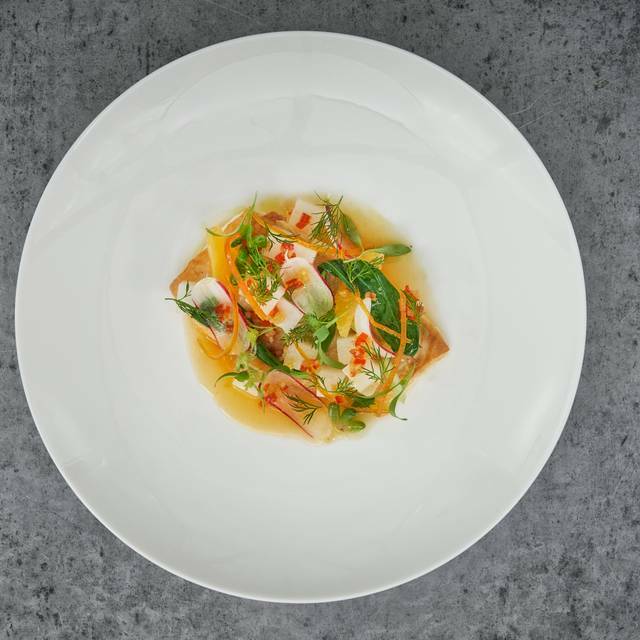 Orrery offers private dining, exclusive hire of our rooftop terrace and also exclusive hire of the full restaurant for special occasions. 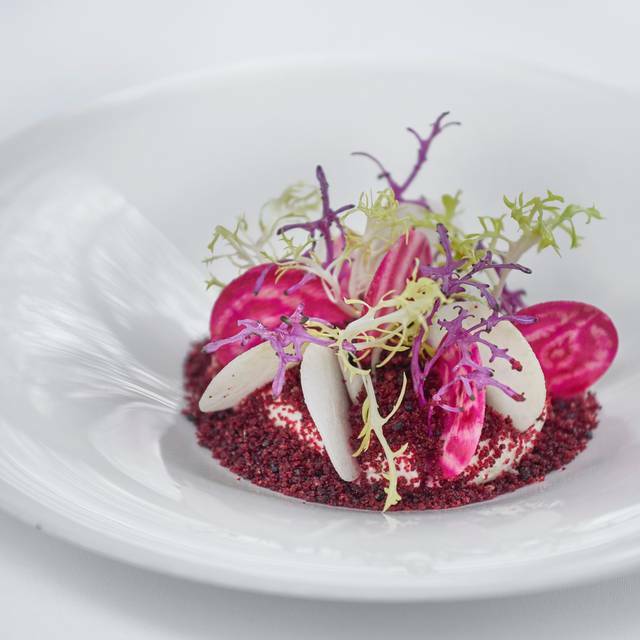 Orrery offers classic French cuisine with seasonally changing menus of exceptional quality and full of the tastes of France. The menu has been designed by Head Chef Igor Tymchyshyn, and showcases the most delicious flavours the region has to offer. Culinary highlights include the Tournedos a la Rossini (Beef Fillet) and Wild Sea Bass aux agrumes, served with stuffed courgette flower and sauce vierge. The epitome of elegance, Orrery is in the heart of charming Marylebone with a beautiful interior by Sagrada. 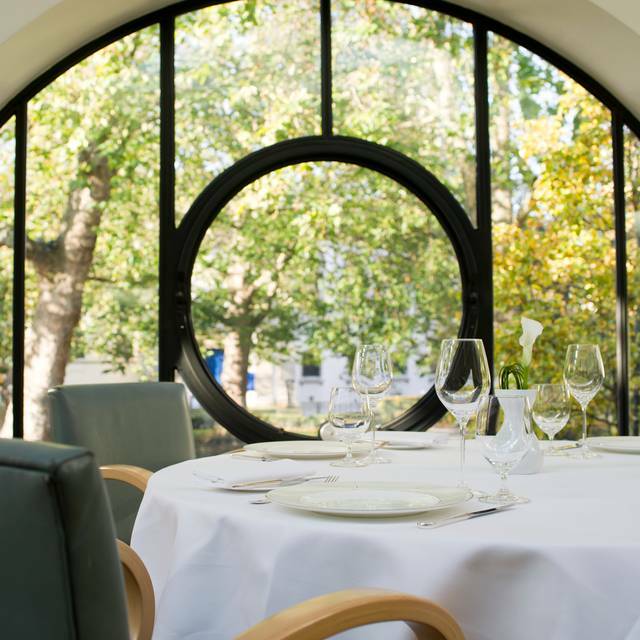 Featuring iconic arched windows, Orrery London also has majestic views of Marylebone Church Gardens from the tranquil summer rooftop terrace. Previously of Michelin-starred Mirabelle, Orrery restaurant Chef Patron Igor Tymchyshyn showcases exceptional French creations, including the Tournedos Rossini with celeriac and sauce périgordine, and the Jerusalem artichoke risotto. Taking inspiration from the south of France, the chic Orrery bar serves fine cocktails and exquisite wines from the cellar. 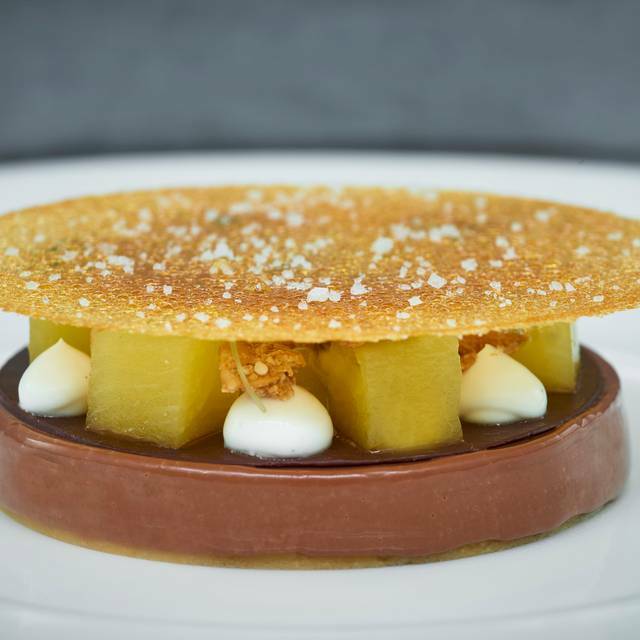 The award-winning cheese trolley at Orrery Marylebone sits alongside sweet decadences like Valrhona Manjari délice with pineapple and salted caramel tuile. Along the vibrant hub of Marylebone High Street, Orrery’s closest Underground stations are Regent's Park or Baker St tube station. Like the intricate cosmological model that lends it its name, Orrery is redolent with elegance, sophistication and attention to detail. 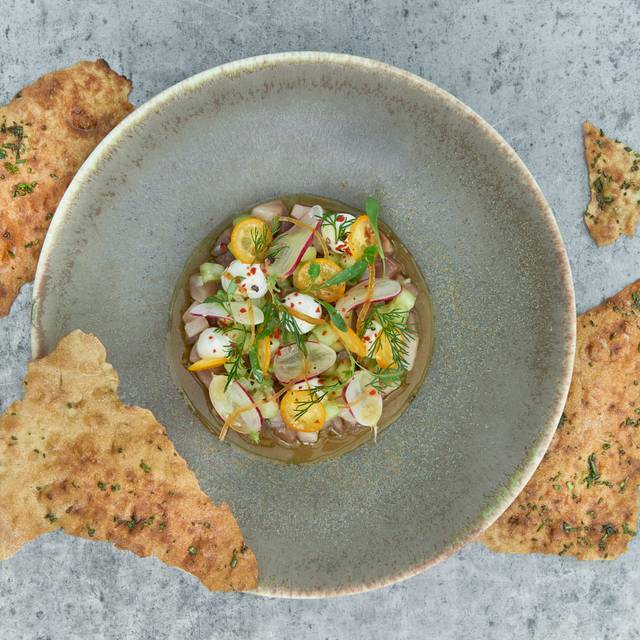 Orrery receives regular critical acclaim for its food, service and atmosphere. In addition to the restaurant, there is also an intimate bar and sunny terrace. Excellent attentive service but not intrusive . Really good quality and tasty food beautifully presented. Set lunch was outstanding value, £29 for three superb courses . Clearly looking to fill some tables as it was quiet, even for a Tuesday - I imagine it will be busier and a different menu/price point for dinner. Proper fine dining experience. Very good food. The service was superb by both the sommelier and our waiter. We had a fantastic time here with a group of four with the three course dinner on a Monday night. The beef wellington was great as was everything else. The chocolate orange dessert was probably the highlight for me. The restaurant is overrated. One of the worst price / value meals we had in London. Service was ok but not up to the standards that this restaurant aspires to. Food overly complicated, lacks ideas, poor taste overall. Location was the only highlight but definitely great either. I love the brightness and decor of the Orrery. The food is delicious too. The open table menu makes it more affordable. Went for the 3 course set dinner menu and it exceeded expectations. The food was delicious with good portion sizes. Service was attentive without being intrusive. For the price, this place is definately good value for money. A great place for a date, business meeting & civilised friend & family occasions. Definately coming back! I took my favourite client to lunch here and everything was perfect. The crab starter was beautiful followed by perfectly cooked salmon with Parmesan crust and beetroot with a horseradish mousse. Our desserts were superb, we’ll be back! We had the fixed menu lunch. Great food, excellent service and a lovely ambience. Also even though there were some large parties in at the same time it was easy to hear. Will definitely be back. Very good if not exceptional food, pleasant and efficient service, lovely space on a sunny day! The food was excellent and the staff were very attentive, especially to the birthday girl in our group! We had the tasting menu. All courses were beautifully prepared and presented. Attentive but unobtrusive service. Nice wine list with with some good reasonably priced wines. The tables are well laid out so the noise level was low. It’s a great setting and a lovely menu. The food was nice. Service was odd in that half of it was useless, the other half fantastic! The main issue I have is the layout of the restaurant- you feel like you are eating in a (rather nice) corridor. It’s all pleasant enough, but not amazing. We went there for Valentines Day dinner. Part of the dinner is each woman received a rose at her table. We asked 5 times for ours and eventually they gave us an old one from another table somebody left behind. We struggled to get any attention to order anything. We would ask for something and it would never arrive. At the end of the meal, we went to get our coats.. The lady helped me get one arm into a sleeve of my coat, then walked off.. Leaving me hanging with one arm in my sleeve and my coat just hanging. I would say Management needs to work on training staff in customer service.. Not really nice treatment on valentines day from one of Marlybone's supposedly top restaurants.. Also the food was mediocre at best- not bad but a little bland.. The chicken liver parfait was probably the best. One of my favourite restaurants, excellent food and friendly service. 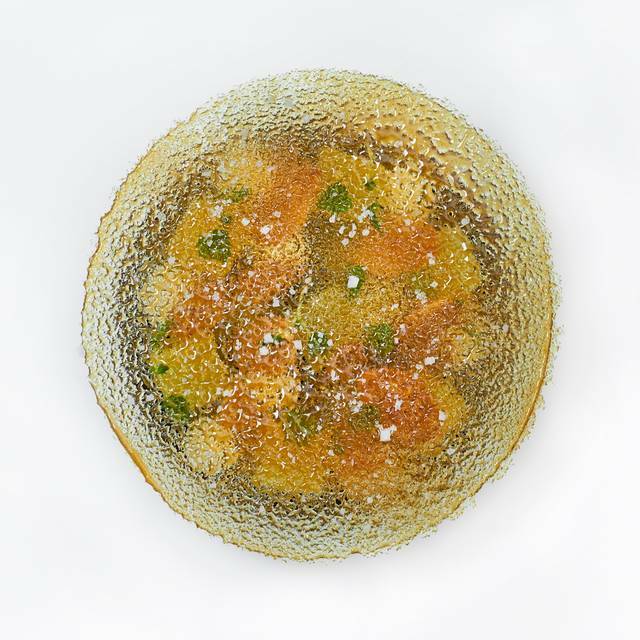 Orrery is simple one of the best resturants in London, has never failed us. A serial Orrery lunches. Food and setting were good but service was rather lacking (I'm not sure if this was a one-off as it was our first visit hence the reason why I would probably recommend to a friend). The food took quite a while to come and then when it did, they brought the wrong starter for me, they then delivered another table's mains to us, and when we did receive our mains, they forgot to bring the side order. The sommelier was however good. Loved the food - we had the evening standard menu and both food and service could not have been better. Will be retuning! Fantastic service food and value. I would thoroughly recommend. Very good value. The food was excellent. The service however was subpar. Great food & service ! Wonderful ambience & fantastic friendly staff, we will return very soon . Evening Standard set lunch - beautiful food, lovely staff, superb value. Cannot recommend highly enough. Good service and ambience, but the food was slightly disappointing. My starter was a salad, average Parma ham and chicory, with a tasteless gloopy dressing. Main course pappardelle with wild mushrooms - good mushrooms but the pasta was unfortunately overcooked with no bite. It was a Sunday night, perhaps that’s why. 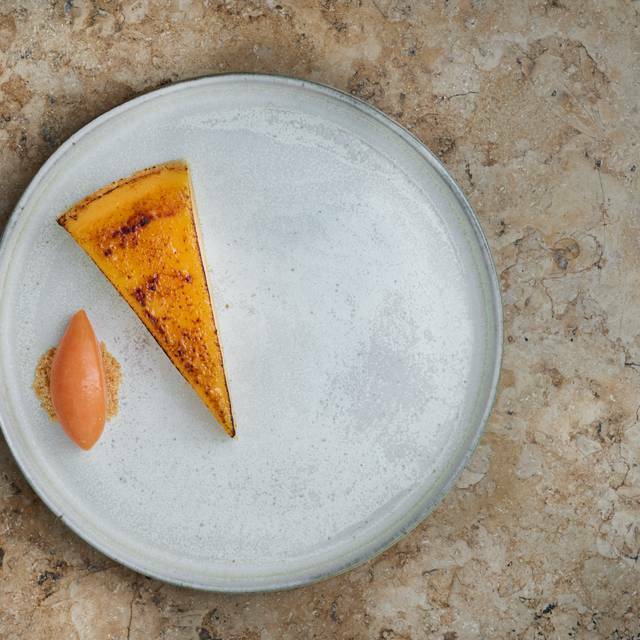 We were there for a Sunday lunch recently and found the experience exceptionally good. Both the service and food was excellent, staff was attentive and polite . I would highly recommend this restaurant. Went here for a pre-birthday dinner and opted for the Evening Standard Offer Menu. plus Broccoli and Cornish new potatoes on the side and a Glass of Wine. Had a lovely evening and would certainly come again. very noisy on this particular visit. Difficult to have a conversation across the table of four. Excellent service and food. The 3 course deal was great but doesn’t include service. 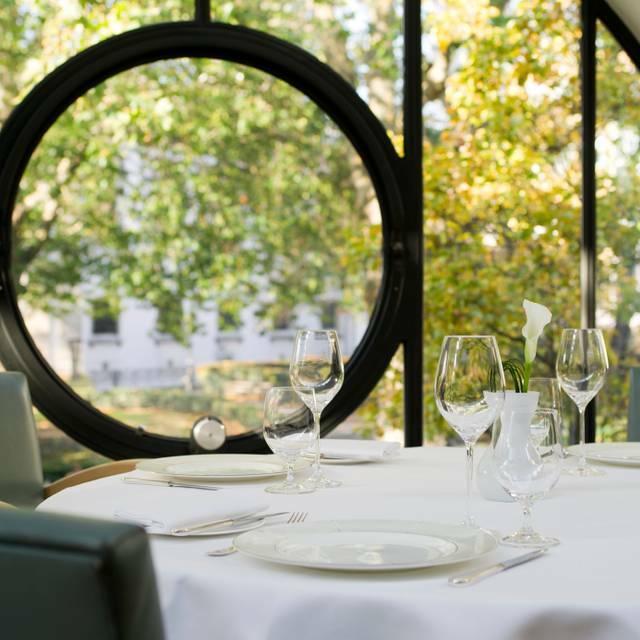 Service at Orrery is exceptional. The staff is genuinely going above and beyond and it makes for a very pleasant experience. The mena changes quite often and is quite interesting. Only negative is it is a bit expensive... but probably worth it. Elegant restaurant, great service & delicious food beautifully presented. The pre-theatre dinner was also great value. Good food and atmosphere. Can have better service even though we went for the lunch deal. Soup was hot and main course was good. Dessert was a bit disappointing for something very basic. Wonderful menu. Fabulous service. We had a set menu and sometimes in restaurants the staff can be sniffy when customers arrive with a ‘deal’ but the staff here were absolutely outstanding. The chef even came out to chat, when we requested, as we wanted to tell him how wonderful the menu was along with the quality of the food. Spot on. The Canadian sommelier was just phenomenal! The desert was no so good....sorry. A wonderful and stylish lunch with American visitors. 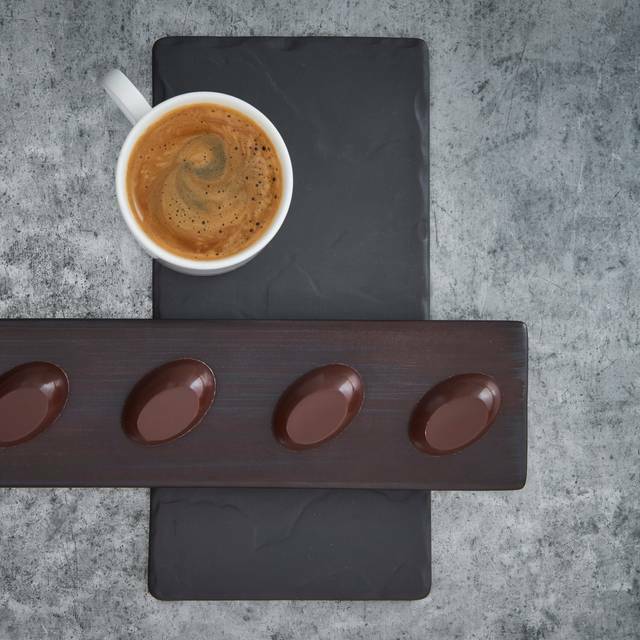 The current menu will delight truffle-lovers! Excellent selection of wines by the glass. Would definitely return for a special occasion. Having booked for my wife’s birthday I found the experience most disappointing. The venue is stylish and the atmosphere lively. The food was good at times but uneven - I could not finish my fish main course so sweet and sickening it was. Service was a big letdown - indifferent at the best of times, inexistent at others. The staff completely forgot us towards the end of the meal, as soon as we stopped ordering wine. there was no sweet with teas and coffees and the staff seemed more interested in seeing our back. I had mentioned the bday occasion on booking but no effort was made to even mention it. Definitely poor value for money - the main merit of he restaurant is to have tables available when most others in this category don’t - I can now see why this would be the case! Simply outstanding food and service as always! Never fails to deliver quality at the highest level.